Hashtags are crucial if you want to increase your Instagram followers. Hashtags will help you appear in search results and increase your visibility, which increases your chance of gaining followers. 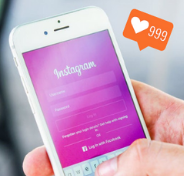 Use popular Instagram hashtags such as #FF (Follow Friday), #instafollow, #l4l (Like for like), #tagforlikes, #followback, #love, #instagood, #tbt and #photooftheday. Like a lot of random Instagram posts that are in your niche. If your Instagram profile focuses on fashion, find other fashion profiles and like their photos. In return, you’ll get a handful of people following you back. 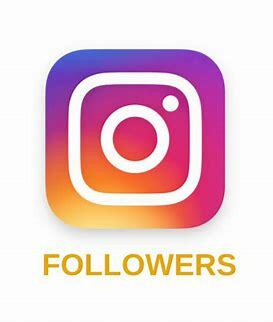 The reward isn’t grand but it’s an easy way and a free way to get more Instagram followers. Hold a contest on your Instagram profile. Start by posting a photo on your profile. In the description, have your contest rules. Make sure you have people Like the photo on your profile and share it on their profile. To make things better, come up with your own hashtag and/or use a popular hashtag for your contest that participants need to use. This will increase the visibility of your profile, increasing your following. Use Instagram Influencers to promote your Instagram profile. You can also use other social networks like Facebook and Twitter to promote your Instagram profile. Tell people what you have to offer to help entice them to follow you. For some reason, 2am and 5pm have been proven to be the best times to post. It’s the most effective. It could possibly be because there’s not a lot of competition at those times. I’m not too sure but post during those times anyway. If you don’t mind having to follow a bunch of people, search for the hashtags #followme and #likeforlike. Follow the users using those hashtags. Many will follow you back. I like to give them a day to follow me back. If they don’t, I use apps like Unfollow For Instagram to delete them. Quality over quantity. Post all of the food pictures that you want but clean your profile up once in a while to keep the content fresh and relevant. According to Track Maven’s Fortune 500 Instagram Report, the Mayfair filter is the single most effective filter for marketers, so make sure you use this filter at least once every few pictures. Fill out your Instagram profile completely. Remember to include relevant keywords to your niche, relevant (and popular) hashtags to your niche, and a link back to your site or other social media profiles. But keep it short and simple to get a quick follow. On top of using hashtags in your captions, include a question with each photo. This will get conversation flowing and increase your engagement. The fewest photos are posted on Sundays so make it a point to post every Sunday. This is when you’ll have the least amount of competition so your visibility will rise, increasing your chances of being followed.